We’re returning to Yemen! This time, we’ve got some special new coffee we haven’t had before. We also had the privilege to roast this coffee (roasted by Jesse). On this episode, we enjoy coffee from Mohassen Zahid in Yemen, produced by Mocha Hunters. 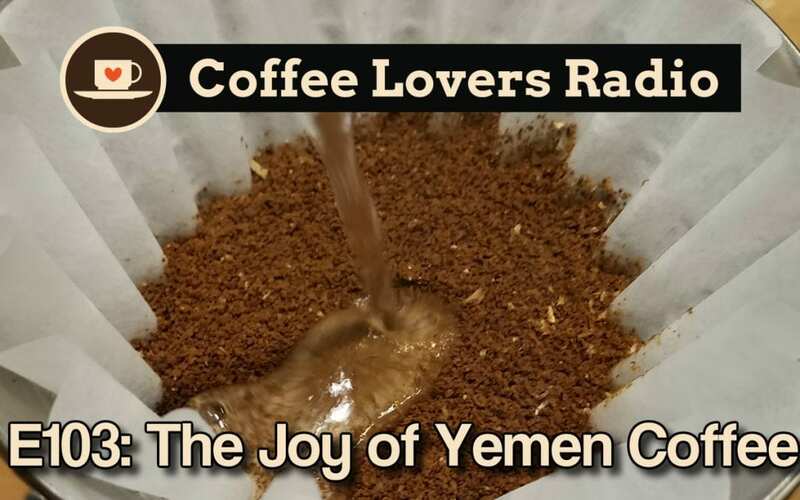 As we sink into the joy of a Yemen coffee, we share a bit of our experiences. Sorry! This part of content is hidden behind this box because it is only for our backers at Patreon. Why not take this chance to become our Patron? Support Coffee Lovers Radio on Patreon!